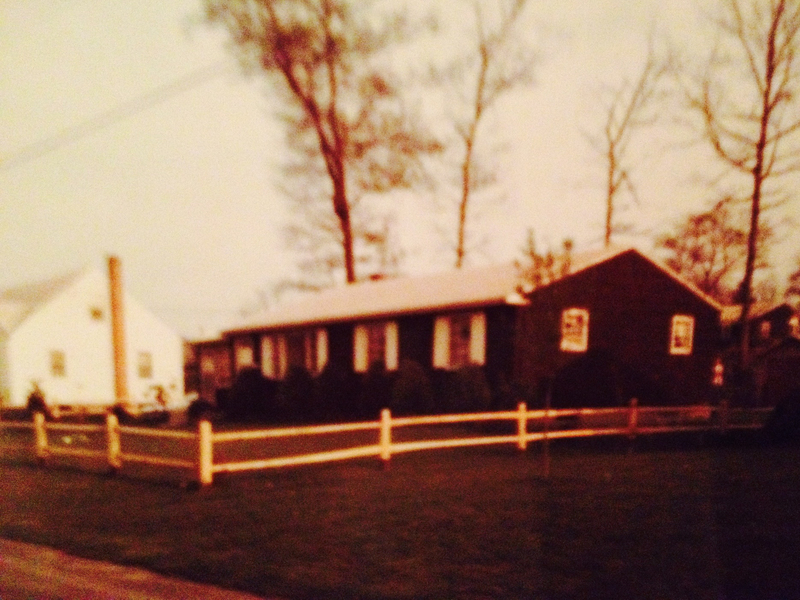 I dream about my grandmother’s house often. The cheap blue siding. The rock wall that lined the backyard. The shed I only saw open one or two times, a cobwebbed structure that smelled of mold and damp. A basement that was half-finished and half-unfinished, the unfinished side stretching back for what seemed, at my young age, an impossible distance. When I dream about this house now, as an adult, it is usually the backdrop of a family gathering. It is unchanged and perfect in its details, with none of the distortion that dreams sometimes inflict on familiar places. The brown recliners are still in place in the den. The living room is still pristine and off limits. There is still a trail of stained carpet in the hallway that leads from the kitchen to the bedrooms. My grandmother still eats bowls of white rice, an excuse to consume her daily requirement of butter. There is a white cat named Fluffy that will eventually be eaten by coyotes or run over by a car, I can’t remember which. In the most recent dream, I’ve given birth to twins. Two little girls; I can’t remember their names. When I was younger I felt the need for children more distinctly, but I can’t be sure it was a genuine desire and not one imprinted upon me by the expectations of society. From an early age I was taught the order of things: school, job, marriage, children. Sometimes those things got a little switched around but they were always there and, in the proper order, each subsequent step was meant to take the place of the one before it. Marriage trumped job. Children trumped marriage. After that, I had only death to look forward to. When I was six or seven years old, we had to give a presentation about what we wanted to be when we were older. Bonus points if you came to school in costume. I wanted to be an entomologist but, upon quizzing some of my classmates, realized that all the girls wanted to be nurses. I ran the distinct risk of being labeled weird if I came to school dressed as a studier of insects. You’re supposed to want to be a nurse, one of the little girls said to me. So, when the time came, I dressed in a little white hat and said I wanted to be a nurse. When my teacher asked me why I wanted to be a nurse, I shrugged. I’m supposed to want to be a nurse. I spent my middle school years dreaming of how many kids I’d have, what I would name them all, how much money my husband would make. It took up a good chunk of my daily energy: constructing this future life for myself. My wedding, my house, my car, my pets. As I’ve grown up, as I’ve evolved, all of that has faded. Eventually the thought entered into my mind: but what if I don’t want to have kids? Is that OK? Is that a viable way to have a productive, fulfilling life? Or is it only a recipe for, one day when I am much much older, a sudden surge of regret? The feeling that I haven’t done what I’m supposed to? So why my grandparents’ house, and why these infants in my arms, filling up my dreams with their tiny fists and feet. Is it me, some biological clock inside me ticking away my last years of reproductive viability, or is it the outside influence—every movie and TV show and book and magazine suggesting that my self-worth is somehow compromised if I don’t dream about putting two hands on my full belly, buying a rocking chair and practicing my breathing. I haven’t seen my grandparents’ house in years. They’ve both passed now, but the house was given up years before that. My grandmother couldn’t walk down the cellar stairs anymore. My grandfather could barely make it down the hall to his bedroom. and as dramatic as it sounds, I feel that way about every house, about every dream of babies. This entry was posted in Journal, Writing and tagged childhood, diary, gender roles, grandparents, halloween, haunted house, polaroid, vintage photography. Bookmark the permalink. Know the house well – the site of your mom & dads wedding. Loved the short story, but I love all you write!